Product Detail Summary: The Ghosts Tactical Helicopter pilot avoids the onslaught of enemy fire to deliver Hesh, Elias, and Riley to direct, mission-essential areas of the battlefield. Send Riley out before the drop to scout enemy territory for valuable information via the local area shortwave camera and radio on his combat vest. 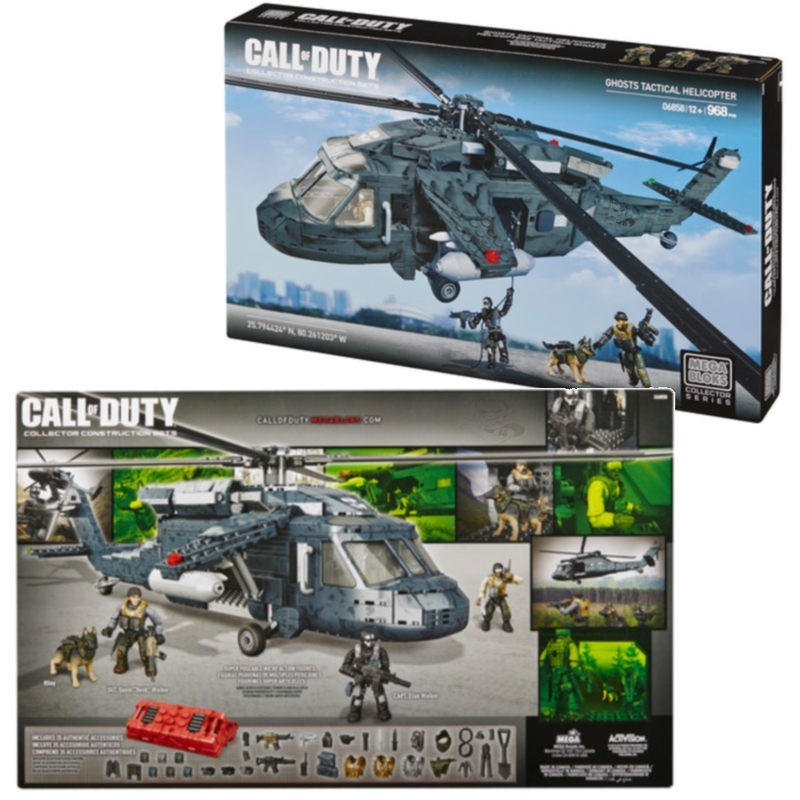 The top of the fully buildable helicopter can be removed to easily insert your mission-ready soldiers, as well as support accessories and additional weaponry. This transporter features unique stowaway propellers, rappelling line and four super-poseable micro action figures with interchangeable accessories and weapons that allow for mission-specific customization. For ages 14 and up.